My go-to uniform has to be jeans and a jumper. I have an extensive collection but I don't think you can ever have enough of the things you are most comfortable in. I practically lived in my black high-waisted ripped knee skinnys most of last year so it only made sense to have them in an another colour, give the others a break and potentially a wash! I love that these Topshop Jamie jeans are a slightly lighter alternative to black, and with grey being the colour of the season a head to toe (ish) outfit was inevitable. The highwaisted 'Jamie' is one of my favourite fits with the strength of true denim yet the comfort in its stretch. I always go for a longer length so I have the option to roll up and cuff at the ankles and with the high-waisted cut they layer perfectly with crop tops and side split jumpers. Since winter got frosty I've been relying on my wardrobe staples more than ever as they're the easiest thing to throw on together and keep warm. 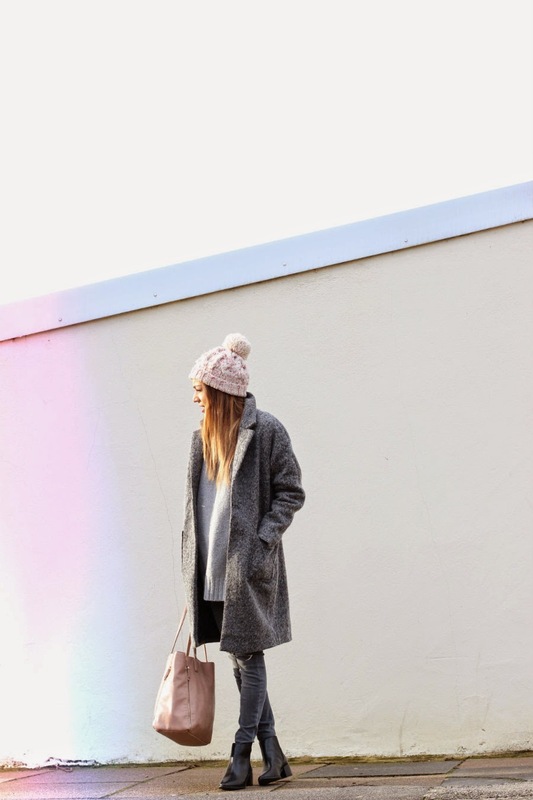 So alongside jeans and chunky knits of course sits the boyfriend coat and ankle boots. My outerwear collection is rapidly growing and it wouldn't be unrealistic to say if you stepped into my closet you could end up lost in Narnia! However, it's justifiable if you feel constantly cold like I do and rarely remove your coat therefore putting the effort into anything underneath would purely be a waste of a good outfit.. it's all about the coat! And this grey beauty from Glamorous is the ideal neutral cover-up for any look, it goes with everything! Plus Glamorous have £10 OFF EVERY ORDER with code 'SAVE10' so what are you waiting for, shop the look below..